While the court gets to the proper result (in my never-to-be-humble opinion) in Tierney v. Berger, it does so in a convoluted way. 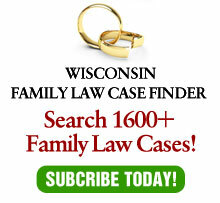 In the process, it appears to allow “mixed orders” which would correct an anomaly in Wisconsin law. What other anomalies are there? My follow-up article is about “Silly Laws,” which I’ll post in a day or two. For more on the Tierney decision, see my recent column from the Wisconsin Law Journal.